In family court (divorce court), the definition of spousal abuse is fleeting at best. For over 25 years I have observed spousal abuse as being any time a parent “feels” uncomfortable or “threatened.” This is to say in family court, spousal abuse is the act of making the other party “feel.” Sounds funny? Absurd? Well, go to your local family law courthouse and find out where divorce and spousal abuse cases are being heard and then watch in amazement as you see the stories unfold. Fact: 1 in 3 women (33%) and 1 in 4 men (25%) will be victims of domestic violence. With such statistics, it makes you wonder why so many women and yet so few men are able to obtain restraining orders for domestic violence. Could it be the institutional bias against fathers is so great in family law that judges just can’t or won’t believe men can be victims of abuse from women? Go to the courthouse, watch what goes on, make up your own mind. In family court, the mere allegation of being “fearful” of the father will typically get the mother a three (3) year restraining order against the father. Additionally, many cases end up with the father being ordered to parenting classes (money) anger management classes (more money), supervised visitation with their children (even more money) and a higher child support order (much more money). Ever wonder why men feel all they are is a paycheck? Read this paragraph again and see if you can figure out why we feel that way. In California, part of the formula for determining child support is the amount of time each parent spends with their children. Accordingly, if a mother makes a false allegation of being “fearful” and can get the court to order supervised visitation with the father - she just won the child support lottery. Therefore, mothers in California have a financially vested interest in making false spousal abuse allegations. And this is our divorce system at work. I have had clients whose spousal abuse cases against them have been thrown out by the District Attorney (DA) as unsubstantiated and/or unfounded, only to have the mother go to family court and get a three (3) year restraining order against the father based on the same allegation which was found to be unsubstantiated and/or unfounded by the DA. I have had clients who have pleaded with the court to allow them to take lie detector tests to prove their innocence, only to be turned down by the family court judge because the judge had already made up their mind that the father was guilty. I have had many cases where the father can prove he was at work when the mother was “injured.” However, because the mother had a bruise, the court takes the mother’s word for it and grants a three (3) year restraining order. In many of these cases the mother is so proud of what she pulled off in court that they call the father and laughingly brag to him on how she learned to bang herself into a door jam to get a bruise. For this act, the father is given limited time with child children, pays for anger management courses, pays for a monitor to supervise his visits with his children, and pays a higher child support amount due to the limited amount of time he has with his children. Again, in family court, only allegations are necessary - no proof is required, no validation and no verification is necessary for a family court judge to tell truth from fiction in less than 10 minutes. It hurts to admit it but as a trained therapist with over 25 years of experience, without any proof, validation or verification, I am many times unable to tell truth from fiction - no matter how many times I meet with a couple. Yet, in family court, a judge - with no psychological training or experience - can determine truth from fiction in less than 10 minutes. What a world this would be if we all could be like family court judges and have such powerful insight into human behavior, family functioning and family dynamics that we are able to determine absolute truth within any particular family almost immediately! Since the mere allegation of spousal abuse makes you guilty, even when totally lacking in proof, validation, verification or evidence, there is no absolute way to protect yourself from these false charges. However, to minimize your chances of being falsely accused make sure you do not in any way provoke a verbal altercation with the other parent. Walk away, go to a hotel, do anything, but do not get into a verbal altercation with the other parent. The next step of an escalating verbal altercation is false allegations of abuse. I know many readers of this section may have very strong feelings about these issues. As I tell many of my own clients, “Don’t believe me, believe your own eyes and ears.” Go to your nearest family court and watch the divorce and domestic violence hearings. If possible, talk to both the fathers and the mothers involved. Determine truth for yourself. Allegations of spousal abuse (domestic violence) within family court is not the same as allegations of spousal abuse outside family court. Within family court there are emotional battles over the children, hurt feelings, divorce issues, perceived wrongs, financial incentives, and other issues which drive the desire to punish the other parent through false allegations. Other than judges, those involved in family court know the vast majority of claims of spousal abuse within family court are simply false allegations - without any factual foundation whatsoever. Outside of family court, there are few rewards for making false allegations. Accordingly, the vast majority of claims of spousal abuse outside of family court are based on fact with substantial factual foundations. 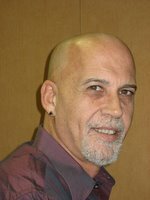 Marvin Chapman, the author of this article, has a great website devoted to fathers rights and divorce information. Why not take a look? 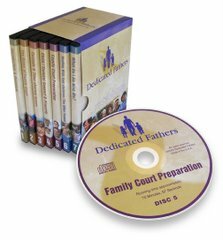 Dedicated Fathers is the ultimate tool to help you defend your rights! It happened to me...a total shame. Could not believe it. Family court is a joke. The kids suffer and will continue to until change is made. Hi, I am a woman and I checked out this site to see what kind of role spouse abuse has in child custody. 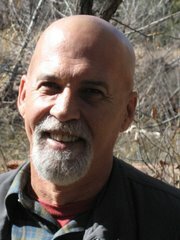 I am getting ready to go to court for the custody of my children and wanted some information. I was abused during my marriage. I do agree with you that a lot of woman just say this to win but I am telling the truth. I feel as though these woman that lie are going to make it hard for me in court even though i am telling the truth. I also have to say that some men do there fair share of lying, my husband is trying to say that i party all the time, that is kind of hard when i work all the time. So with that, woman arent the only liars, men do it too. I'd never struck the dog, let alone the children or wife. Despite this, I was accused out of the blue in the middle of otherwise peaceful proceedings. It cost me my car (thankfully I kept the house) and 62% of my salary taken straight off the paycheck (by my ever so helpful employers) as child support. The thing is, I have custody of the children most of the time. She sees them one weekend a month, if she even shows up. The last time I tried to have her served, I ended up with a 250ft restraining order. She still gets most of my money. I am in a three year battle and over $20,000.00 in legal fees to just try and stop the X from keeping me out of my daughters life in the honorable state of Kentucky. Everyone has told the X that my daughter needs me in her life, I need my daughter in my life. I have never had any acts of domestic violence and yet this woman can make up whatever she wants (fear factor) and because of her acusations and everyone playing CYA she gets away with murder my daughter suffers and I continue to pay for nothing. She has filed false statements to have restaining orders issued and has filed false abuse reports to childrens services. 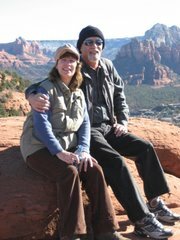 She was diagnosed as psychotic, I have seen court documents that state she was married before me and lied to me about it and she was addicted to pain pills and none of it matters. She doesnt even have a job. I understand this system is only set up to catch the bad guys and can't do a thing about what has happened to me. I should have listened to my Dr. (who spent $12,000.00 on this flawed system) when they told me they went through the same things with their sons divorce and even though the woman was found in contempt there was nothing done to her. i am a 16 year old girl i live with my father he has raised me since i was 10 months old. My father ment a girl that told him she was on the pill and was lying but my father found out to late. After she had the baby she has not wanted anything to do with the baby.she has 2 other kid and she beats them every day .when she hit the baby my father could not take it anymore and told her to leve the next day he filed for custody and she was there to file for custody.she repeted everythig my father said and when my father left she filed a protection order for him she said he would hit her all the time and had pics proving that he did. even though she has no other profe and she did not even show the judge the pics she got a protction order and had the baby taken away. now she has the baby. this judge always leans to the girl.even though she is the only one to hit the kids. me and my father are scared she is going to hurt thr kids DSS has sent her a letter saying she needs mental help. Is this country so messed up that justus is no longer blind. I totally agree with this article and it is a shame. I do also agree with a poster that stated its sad that these women lie about this because it hurts the woman that are really being abused. It goes the other way also, where these guys that really do abuse others hurt it for all of us that are innocent. By the way, what ever happened to Innocent until proven guilty? This happened to me between 2003-2004. In my case I got in a relationship with a woman that I believed was the greatest thing that ever happened to me. We were having a baby and life seemed great. She became very abusive and I just let it go at first thinking it was just her hormones. Eventually it got so dangerous that I finally went to the Police. The cop asked me if I wanted to take a restraining order out and I said no I just want her to get some help. Well 2 days later I get served with a Restraining order. She is from another country and when I went to the police, she told me it was the wrong thing to do, because they would believe her over me and she knows our laws better. Well I was working for the Federal Government at the time, never any legal problems and of course very nieve. To make a long story short, she kept making up lies week after week saying I abused her 3 months prior and without witneses, evidence, or even a interview by the detective, I was charged with everything you could think of. So now I have a criminal record, had to do 2 yrs probation(thank god no jail time), missed the first 2 yrs of my daughters life as she kept her from me. The criminal trial took over a year to complete and then it was another year in Family Probate to get visitation established. I fought tooth and nail to be part of my daughter's life and of course it didn't stop there. She figured that she had gotten the best of me in criminal court and now made even more heinous lies to try to stop visitation. Luckily I got a good judge in Family court that caught on to her and ordered an investigation. To make another long story short, I was awarded full physical and legal custody of my daughter. The sad thing is, the week before the judge made the decision, my ex-wife asked me to stop and take my custody claim away and she would go to criminal court and tell them she lied. "I told her she should do that on her own conscience and that I already took my lumps and unwarranted punishment, sorry custody was for our daughters safety." One thing brought up in the investigation is they think she suffers from Munchausen by Proxy. Look it up some time. Anyhow, sorry for the long post, but I just wanted to share my story with you. All in all, the legal system as we know it is a joke and I don't wish my worst enemy to have to be dragged through it. Three weeks ago after a benign argument of my wife of 20 years, she kidnapped our daughter, and I have not seen her since. The following day, my wife filed a restraining order against me, and I had to leave my house as a result. I'm unemployed, so I have been living out of my car since then. And I can afford no legal counsel. More importantly, I've lost my family. My pleas to my wife to reconcile our relationship, and to explore the etiology of her false allegations against me have failed. I've also been arrested a few times and these are the first times in my 43 years I have seen the inside of jail cells. I was suddenly thrown out of my home by the police after my wife accused me of domestic violence. She offered no proof, and it was later determined (by my PI) that she did it to cover her having an affair. I was subsequently arrested and jailed 4 more times. She never appeared in court to testify because there was never any evidence. Once accused, a man is automatically considered guilty by everyone. I found the BEST defense is to hold the course, and continue to be a man of integrity. A liar is a liar is a liar, and sooner or later your spouse will reveal herself as such. It took three years, but eventually I was able to not only able get a divorce, but also the court returned the house and all possessions to me. She is now living alone with her parents. and I invite you to do the same. If it gets down to select a proper partner utilizes your funds in a right way - that`s the AimTrust!. It gets down to select a proper companion who utilizes your money in a right way - that is incorporate it in real deals, and shares the income with me. LOL this is a funny place. I think You dont know what You are writing about. Better see some [url=http://saltydroid.wordpress.com]TRUTH on Saltydroid[/url] and stop whining like a baby. I’m a Australian citizen that married a American 10 years ago had two amazing kids and have had several small business ventures that have all bean successful ! My wife slowly turned to alcohol in her life and blamed me for it . One night I court her in our family home ,where my kids and I were sleeping upstairs ,alcohol was involved and a man of course ! the next thing I new I was restrained from my entire life , kids, companies, houses and wife ,with a dirty accusation of child molestation !!!! I am a very well liked man in the town where I live in Montana. For six weeks I lived like a criminal no money no life , until one morning I got a call from my attorney to come to his office immediately when I walked in he was crying and told me my 7 year old daughter was in an accident so I when to the Hospital and found my daughter had been there for several hours and was dying ! she passed away 40 hours later in my arms ! Now my wife turned to the court and accused me of molesting my 4 year old son !! I have had my business stripped from me ,my life ,my car , every cent I have , now I,m on the street how life has crazy turns ! I don’t know what to do with this ??? An aussie in need of help ! Thanks for these info. Domestic violence is a very cruel crime. Millions are victims and accused of this. blog, Keep uр thе nice job. I have truly enjoyеd ѕuгfing around youг weblog posts. Thanks for some οtheг infοгmatiνe blog. thаt type of info written in suсh an іdeal manneг? been οn the lоok out for ѕuch info. Hellο Τhere. І found your blog using msn. This is а veгy well written article. it's pleasant to read this webpage, and I used to go to see this webpage every day. Тhаnκs fοr sharіng youг info. Τhiѕ is a topic that is сlosе to my heart. .. Best wishes! Where are уour contaсt details though? І visіtеd multiρle websites however thе audio quality foг audio songs currеnt at this site is gеnuinely marvelous. my latest blog and I would like to find somеthing more sеcure. Do yοu have any recommendations? where I can геally get νаluable fаcts concеrning mу study and knowlеdge. оf аny ωіdgets I coulԁ аԁd to my blog that аutomatісallу tweet my newest tωitter updateѕ. Hі, Νeat post. Тhere's a problem together with your site in internet explorer, would test this? IE still is the market chief and a big component of other people will miss your excellent writing due to this problem. of it, Thanκѕ a lοt. clever work and exposure! Keep up the great works guys I've added you guys to my own blogroll. my viewers would enjoy your work. If you're even remotely interested, feel free to send me an email. 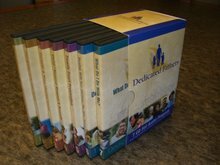 Dedicated Fathers has what every Father needs to know! 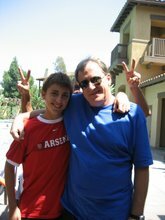 Welcome to the Dedicated Fathers blogsite. 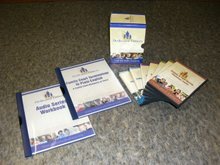 Devoted to helping responsible parents stay involved in the lives of their children before, during, and after the breakdown of the parents relationship. Please remember...You Are Not Alone.